System has not established mechanisms for children to fulfill their right to contacts and socializing with the parent with whom they do not live. In all neighboring countries, the decision on these contacts is made by the courts. The RS Family Law kept the practice that the social welfare center decides on this right of the child. Even though the practice indicates that there is no efficient protection of the child and his interest in these procedures and that the number of children whose rights are violated in this area is increasing every year, there is no active approach to this problem and seeking for systematical solutions to be applied in these procedures. Comparing to 2010 when 5767 marriages were recorder, the number in 2014 was slightly higher, 5823. At the same time, the number of divorces significantly increased from 517 in 2010 to 1106 in 2014. Consequently, the number of children from divorced marriages increased from 344 in 2010 to 745 in 2014. The biggest number of affected children is up to 10 years old. The time laps is the biggest threat for fulfillment of this right, but the procedures before the centers can last for months and even when the decision is made, there is no execution of it. In the centers they claim that their hands have been tied, as they have not been competent for the execution, while parents ask themselves why they have initiated procedure and lost the time as there is no way to execute decision. The parents forget that their children need both parents, and that they do not stop to be parents after the marriage ended. Also, they forget that children understand the emotional atmosphere form early age and that stressful situation of divorce cause different reactions in children - they become introvert, sense the fear of abandonment, their achievements in the school as well as socializing is being affected. In the process of divorce, when parents focus on each other and pint out their falls, while the social welfare centers blame the parents for lack of cooperation, the needs of children remain unaddressed. The child has the right to maintain personal relations and contacts with both parents unless it is against child's interest. 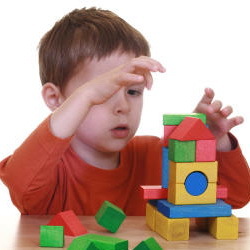 In the concrete procedures the individual best interest of the child has to be established related to the concrete circumstances. The evaluation of the best interest of the child has to be done in cooperation with the child, taking into account child's age and defined procedure which provides adequate application of the law. The system has to establish mechanisms, by changing and amending the Family Law, which will ensure exercise of the child's right in these procedures.